Long before neuroscience revealed that rapid brain development happens in the first years of a child’s life in a way that never happens again, Dr. Montessori pointed out that it must be so. Simply look at how children learn to speak, walk, and understand so much of what is happening around them by their third birthday, and you realize that a very special kind of brain is at work. Dr. Montessori wrote, “…the truth emerges that the child has a type of mind that absorbs knowledge, and thus instructs himself. This is easily proved by the child’s acquisition of a language—a great intellectual feat. The child of two speaks the language of his parents, though no one has taught him” (Education for a New World). 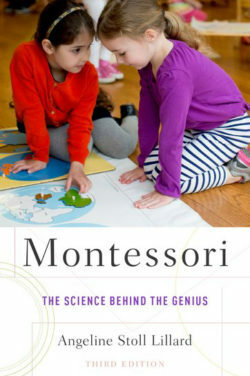 Montessori proposed that children have a special ability to absorb new knowledge because there is an “inner teacher” that gives human beings the ability to teach themselves, guiding little children towards what they need to learn in order to survive and become a part of their human community. 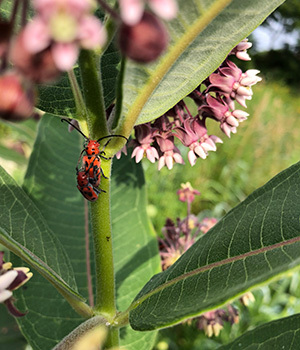 To respect and help this natural guide, adults need to pay attention to the environment they are providing for infants and young children, placing what is most useful for their development within easy reach. Next, we need to give infants and young children freedom to interact with the environment that we have thoughtfully prepared. 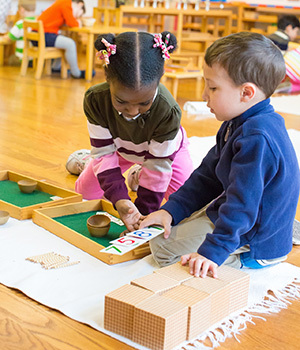 This is an important aspect of the Montessori approach: every child is a unique individual who will carve a unique path for himself or herself. The freedom to make choices is imperative for this natural process to occur within each child. 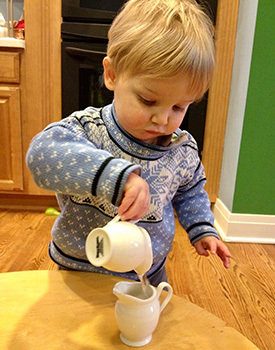 “Education begins at birth,” Dr. Montessori often said. This is true in the sense that we adults do not “teach” children; they teach themselves. When we adopt this perspective, parents can understand how important it is to consider the needs and sensitivities of their infants at home, from the very beginning. This is a natural desire for parents; our instinct is to protect, nurture, and marvel at our newborns and infants in their rapid, daily acquisitions. We can see before our eyes their seemingly magical abilities at work. We want to do everything we can to help them and to remove obstacles from their paths. 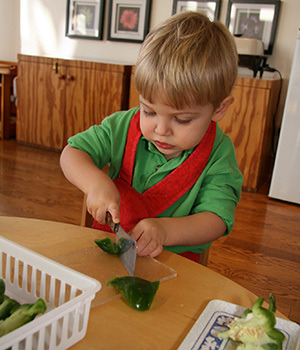 “Scientific observation…has established that education is not what the teacher gives; education is a natural process spontaneously carried out by the human individual, and is acquired not by listening to words but by experiences upon the environment…” (Montessori, Education for a New World). Education, therefore, is everything that a child is learning in his or her life. movement, which will be a flat, safe space on a floor mat or a blanket where they can roll, inch, and move. For each of these areas, it is important to consider that your infant is developing every minute. Offering your eye contact, touching them gently, and speaking to them are natural ways to feed your infant’s needs to develop and to communicate. We will elaborate here on just one of these four areas for the purpose of this article: your infant’s area for movement. Putting our infants on the floor, a rug, mat, or blanket—as much as we can and wherever we go—gives them the gift of being able to move and to interact with their surroundings. Doing this sends a powerful message: You are the main participant in your life. 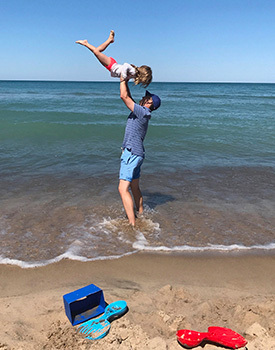 This mindset sets the stage both for you as a parent—as a supporter of your child’s development—and for your child to develop independence, confidence, a realistic sense of him/herself, and response-ability: the ability to respond to one’s surroundings. The least-developed sense when your infant is born is that of sight. Dr. Montessori and her collaborators designed mobiles that can be hung about one foot above newborns to offer something attractive to look at so that they can naturally work on developing their eyesight. 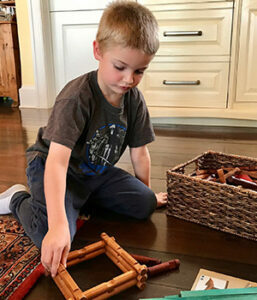 These can be handmade if you are crafty and enjoy projects, but they are also available through MontiKids, an excellent on-line provider that sells high-quality Montessori materials and access to on-line demonstration videos and information. Montikids mobiles and materials for infants were designed under the advice and guidelines of an Association Montessori Internationale (AMI) trainer and are perfectly suited to developmental ages and stages. They are also beautiful, durable, and meet US safety standards. Besides such mobiles, we do not see any reason to expose your infants or young children to anything but what nature provides for their eyesight and brain development. The natural movements of leaves and branches in the wind, birds and insects at work, the stars or clouds in the sky far away, the glistening of water, the reflections in window glass, and the infinite shades of color all around us provide endless information for our infants and young children. All of this is useful for their foundation of understanding. Mobiles that move by the air currents in a room, or from being pushed into motion by your hand, give proper stimulation for the newborn’s developing eyes. Your calm and simple surroundings in your home and the movements, sounds, and sights of your daily life offer countless impressions for your infants. Because we do not know enough about the long-term effects of looking at screens for newborns and young children—and many studies suggest drawbacks—we do not recommend putting screens in front of your infants to entertain them. See our post on screen time for more information on this topic. Mobiles are useful for eye development for the first few weeks, but as infants become more interested in moving and grasping, mobiles are no longer needed and can be moved to a higher location. 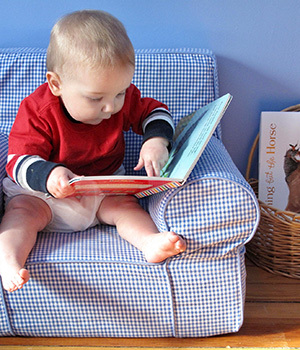 Picture books—and the interaction and language exposure that we give our infants when we read aloud to them—are some of the most valuable items in a child’s early life. There is a strong internal magnet, it appears, that draws infants and young children towards people who are speaking to them. We can feed this human need by reading aloud to our children daily and often. See The Enchanted Hour: The Miraculous Power of Reading Aloud in the Age of Distraction for more information on this vital topic. Photographs and artwork also offer color, shapes, and images, of course. Keeping the home simple and uncluttered draws children’s attention towards the beautiful, thoughtfully chosen items that are present. 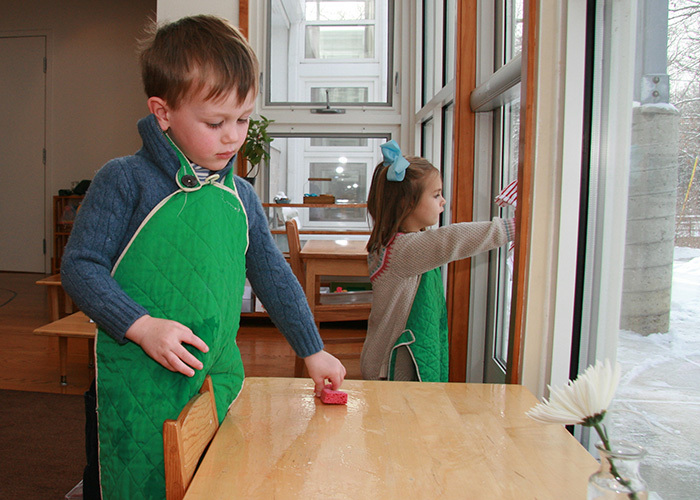 “Keep it simple” is a good motto for setting up your home—and for raising young children. In our culture, we put a lot of pressure on ourselves to do everything, be everywhere, and excel, as parents. But it is far more important to be relaxed, at ease, and present with our infants and young children. So, when providing things to look at, tend towards the simplified approach, which will also help make your home safer when your infant begins moving around in it. 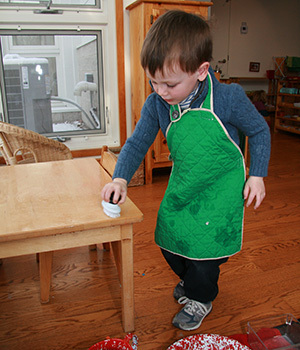 In our infants’ first environments, we can thoughtfully provide encouragement for their development and movement by placing a few simple structures in place. 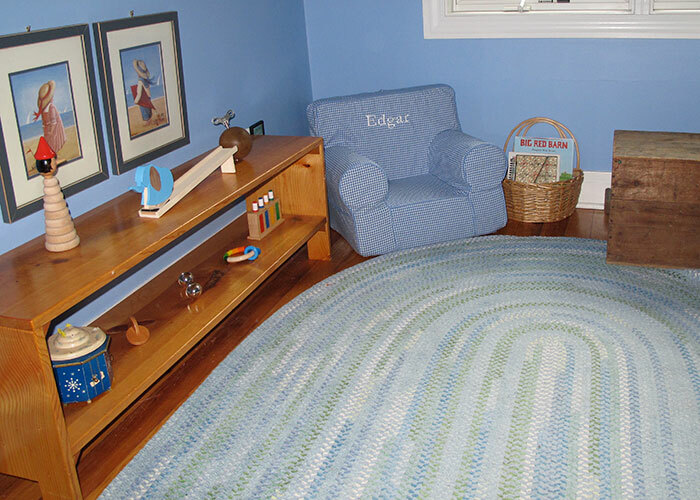 The first is a floor bed or mat that our infants can roll, squirm, and scoot on. Placing a low mirror at the height of this surface provides something very interesting to look at, inspiring your infant to lift his or her head and build torso and neck muscles as they gaze at themselves, you, and other reflections in the mirror. An infant’s desire to push up and look at the mirror drives the integration of his structural muscles and his growing intelligence about the world around him. Like building blocks, each stage of physical development evolves into the next when we provide an environment that encourages such self-directed movement. Infant rattles made of natural fibers such as wood, soft metal, or cloth can be placed a few inches away from your infant so that he/she works to reach for it and eventually scoot toward it. As his/her body strengthens through natural movements on this surface, supply some rolling toys that will encourage further pursuit. Many household items, such as a wire whisk, a smooth wooden spoon from the kitchen, or a soft nail brush from the bathroom, can also be wonderful objects for your infant’s exploration. (Just check any item first to be sure they are clean and safe for your infant to put in his/her mouth). Keeping items on a low shelf in your infant’s bedroom or in an area for their activity is a safe way to display them. As your infant begins to move across the room of his or her own accord, this shelf of a few items will be a great attractant. To avoid having too many items out at once, keep some in a bin in a closet and rotate them. 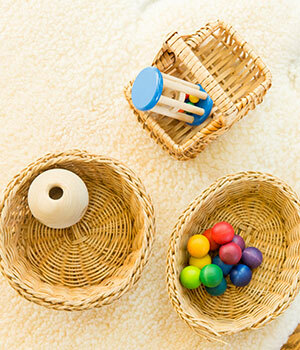 A basket on the floor also makes an orderly and convenient location for a few toys down on your infant’s level. What’s the Point, Right Now? Why does it matter whether our infants scoot, crawl, or have the freedom to move in their first year? It is not some benchmark scorecard we are after here: the physical capabilities of the body are important for their relevance to the child’s mind and evolving sense of self. Learning is directly linked to the connections and collaboration between the mind and the body. When an infant thinks a thought and their body can respond with movement, there is a feedback loop that refines and refines until more control and better precision of movement is achieved and more deliberate thought is carried out. This is a natural progression that occurs when our infants and young children are supported to explore, move, and think for themselves. 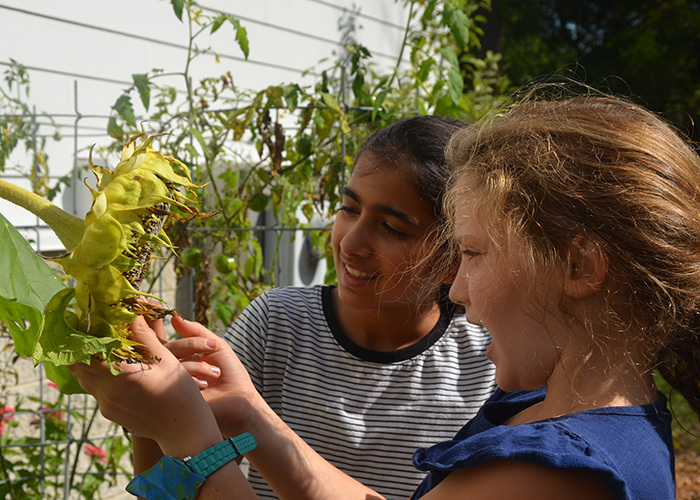 As they grow older, it is important to protect these times and spaces in our homes for our children to just think, explore, and “work” on things that nature drives them to do. It could be building with blocks, looking at picture books, drawing, or playing with toys. The independent play and the comfortable relationship with one’s surroundings, when not being entertained by an adult or by screens, begins in this first year of life and continues as our children develop their unique personalities. To give a long-term example of how this might evolve, when our sixteen-year-old son fixed the tv cabinet door for me the other day, which was rigged with wires in a complex mechanism, I watched and thought, “I’m not sure he would have developed the patience, curiosity, problem-solving skills, or dexterity to figure out how to do that without so many hours of just exploring on his own as a child.” I myself certainly could not figure out how to fix these sliding cabinet doors. But as a child, our son was always tinkering and building, creating and thinking. I’m grateful we raised our children with lots of free time to explore their surroundings, seeing now how it pays off in their life skills and traits as young adults. 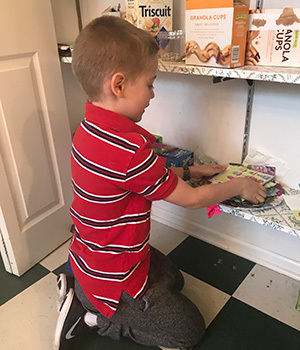 It’s not just that our son could fix something that was broken; it’s that he has these skills of problem solving, curiosity, and responsibility that will transfer to every aspect of his adult life. He consciously feels capable, just as an infant can unconsciously feel capable. This young man feels curious, and he can direct his hands to do what his mind is thinking, which are tendencies that began in his first year of life. In a gradual progression, our children develop these natural traits, following some internal “teacher” that we cannot see, all the way into adulthood. By not replacing these natural drives with our own adult desires to control or dictate, and by not obstructing them by keeping our infants in carriers or cribs when they ought to be moving about, we allow this natural process to unfold in our children. With this in mind, I encourage you to notice how much time each day your infant is spending strapped into a car seat, stroller, or carrier; these items, which are necessary for safety and convenience, fix our children’s bodies in one position. When you make an effort to carry your baby in your arms or put them on the ground wherever possible, you are promoting their physical and intellectual development. You are encouraging them to use their structural torso muscles and to become actively engaged with their surroundings. Ultimately, you are helping them to develop confidence in their own abilities and a positive outlook for life. Providing limits, boundaries, and routines is also, of course, an important aspect of our parenting, which balances with the freedoms we are emphasizing in this article. For more information on these topics see our blog posts on choices and limits and developing inner order. Dr. Montessori spoke and wrote about child development and her positive educational approach from the early 1900s to the 1950s, through the two World Wars. She expressed the idea that children have within them innate abilities that—if nurtured and supported—help our children to grow up with confidence in themselves and a developed ability to work in harmony with their surroundings and each other. This was something Dr. Montessori referred to often at the conclusion of her talks. In a lecture from 1946, she ended by saying, “Human teachers can only help the great work that is being done, [inside the children as they teach themselves] as servants help the master. Doing so, [adults] will be witnesses to the unfolding of the human soul and to the rising of [individuals] who will not be the victim of events, but will have the clarity of vision to direct and shape the future of human society." When you help your infants and young children at home and it is exhausting and demanding work, remember that your task is a special one! You are helping your children to get the best start in life—and to lay down the foundations of their characters—as people who realize their own abilities, feel respected for what they can do, and, therefore, feel empowered to affect their surroundings and other people, with respect. Your children absorb this way of interacting and this way of being from the attitude you treat them with in these early years. Do not worry about “teaching” your little children facts or feats; your task is to prepare a suitable environment for them to learn in, be a model and a source of love and language for them, and respect that they have in them an inner teacher that directs their development naturally. As a parent, you are the provider and the protector of this very special process. A word about pacifiers: After the first weeks when a crying infant may benefit from the comfort of a pacifier, it is wise to dispose of them so that your infant uses all their mouth muscles and shares the sounds and expressions of communicating with others around them. Most speech pathologists will point out that many children who use pacifiers past their purpose develop habits of speaking and tongue motions that are not helpful in developing clear speech. 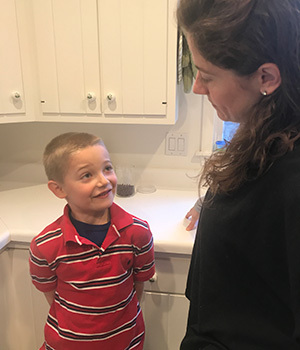 Because communication is so integral to one’s developing personality and connection with others, we want to prioritize the healthy and natural progression of speech. In addition, having a pacifier in one’s mouth hides the expressions of smiling and lip motions that expressive infants are practicing when trying to communicate with us. Just as we want to give our children freedom to develop their abilities to move, we want to remove obstacles and allow freedom for their speech development as well. Healthy Sleep Habits, Happy Child: A Step-by-Step Program for a Good Night's Sleep by Marc Weissbluth, M.D. Dr. Angeline Lillard and her research team at the University of Virginia are seeking participants for a study of people’s lives and school histories, and they would be grateful for your participation in an anonymous online survey. It should only take 15-20 minutes and will help provide important information on whether and how school experiences might relate to life outcomes. Please forward to others (over 18 in North America) who might be able to participate. If you have any questions or concerns, please feel free to email us at later.outcomes.uva@gmail.com or call (434) 982-5368. Thank you in advance for assisting Dr. Lillard and her team with this invaluable research. For a PDF with the above information and a link to the study, click here. When our son was four, I was surprised to see him actually lick a photograph with his tongue. 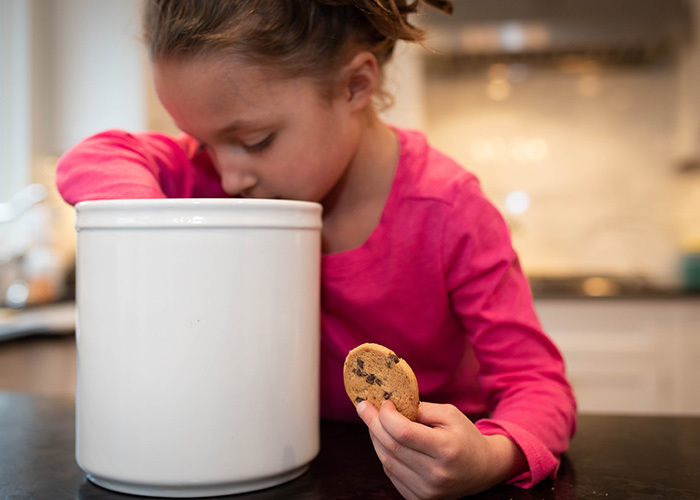 He sat back and stared at it, and then said in a bewildered tone, “Aunt Lisa’s poodle doesn’t taste like a chocolate poodle.” At the same age, our daughter waved her hand at a photograph of her grandfather and smiled. I asked her, “Do you think Grandfather can see you?” She looked at me with surprise and said, “Yes, of course—he’s looking right at me!” Such experiences remind us that even though they seem so aware of what is real and what couldn’t be, our children under age six cannot yet make these distinctions consistently. To understand children’s perspectives and motivations, remember that from their first day of life, infants begin their quests to become complete human beings, adapted to their time, place, and culture, to connect with others and eventually, to contribute to this world. Every one of us begins with a hunger to learn as much as possible about everything around us, and we use this information to build ourselves as people—to build minds that think and know, and bodies that we can control to carry out actions as we think of them. 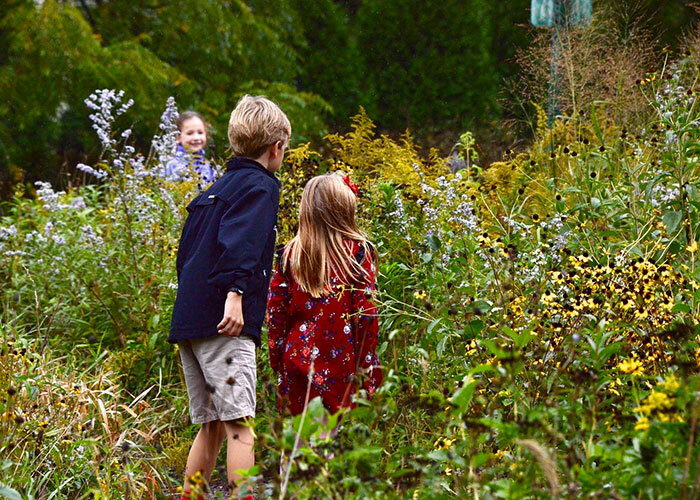 When Dr. Maria Montessori observed infants so long ago, she acknowledged that because infants and young children experience a unique stage of life with rapid growth—forming the foundation for their lives—we need to give special thought to their surroundings. Specifically, Montessori recognized the very intimate relationship between movement and cognition (thinking abilities) in young children. Considering this connection, it is important to present the real world to young children, as they cannot discern between reality and fantasy just yet. With no experience of the real world, they crave important information about living within it, relating to others, and working in harmony with their surroundings. Young children need constant opportunities to move their bodies in response to their thoughts. We must allow and encourage them to think and move simultaneously because this relationship between movement and cognition is so fundamental to human thought structures, to understanding the world around us, and to becoming effective. Specifically, this helps infants and young children to understand their surroundings and develop their spatial awareness and understanding of their world. This means that virtual experiences with screens—or even looking at books and images—cannot replace the developmental impact of a real experience of moving one’s body to explore the world. “Studies have shown that when people move themselves through space, both real and imagined, they are better able to represent that space than when they are passively moved through it or do not move at all. In one study, ten-month-olds watched as an experimenter hid a toy under one of two cloths. On four such trials, the infants were then allowed to crawl to where they could remove the cloth and get the toy, and on four other such trials, they were carried to that place (at crawling speed) by their mothers (Benson & Uzgiris, 1985). On the crawling trials, most of the infants found the toy at their first try (by removing the right cloth) on most of their trials. In contrast, only 1 of the 26 infants had this level of success when they were carried to the hiding location. The act of moving themselves in space, rather than being carried, apparently allowed the infants—all of whom were developmentally able to crawl—to better keep track of the spatial layout of the environment.” In sum, Dr. Lillard writes, “When one moves with a purpose, there is a sense in which one’s body is aligned with one’s thought. 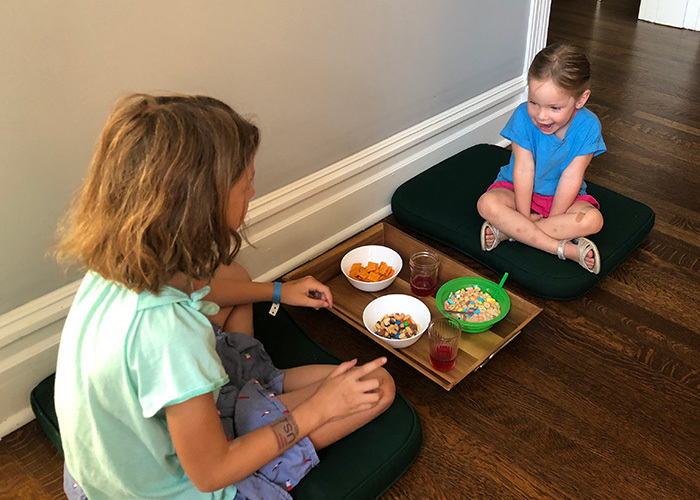 Thought guides action…Montessori education capitalizes on body-mind connections” (51). Such studies show the importance of crawling and moving one’s own body through real space in order to create mental maps of one’s surroundings, to understand, explore, and develop one’s physical abilities. There is no known substitute for this developmental need. We can respond by putting our young children on the ground to move and encourage them to carry their own things when they can. Talking with our children about what they see and experience also aids their understanding. 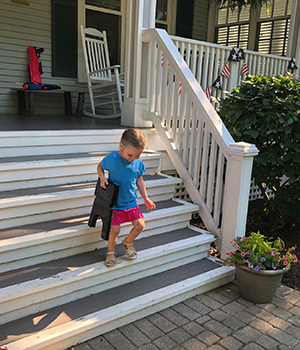 There is a big difference for a two-year-old who walks out of her classroom on her own two feet, carries her tote bag to the car alongside an adult, climbs into her car seat and then talks with the driver about what they are seeing out the window during the drive home. Contrast this to being picked up and carried, having the tote bag lifted from her hands, being placed in the car seat, and watching a screen during the drive while the adult talks to someone else on the phone. The first scenario helps the young child build herself, connect with her world, and connect with other people—in essence, to become human, which is her innate, driving urge. Young children will look, listen, touch, taste, and sniff to explore their world and engage all parts of their minds and bodies. The integration that occurs during such exploration is fundamental for human development. It prepares our children’s minds and bodies for emotionally and intellectually rich and interesting lives. Think of how this experience contrasts with a child sitting passively and tracking images on a screen with his eyes. With a screen, all the information is coming in visually, and mainly one’s eyes are distinguishing colors and movements of light images. This is a very one-dimensional experience, perhaps with a backdrop of voice, but no other sensations. One’s mind is not invited to think as the body is not invited to move. Any thinking that happens does not influence or change what is happening on the screen, so thinking is not encouraged by the activity. Young children, in their desire to connect with others, need to find binding ideas to commune about. 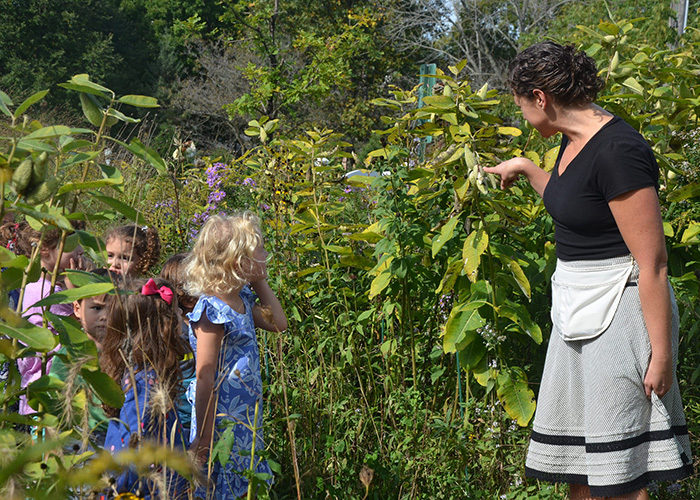 Adults and children can talk about trees, flowers, water, books, sounds, music, bodies, the sky…anything they have had mutual experiences with and have some knowledge of. These are all touch points that people can find in common. In contrast, the latest cartoon character, electronic game, icon, or fashion fad leaves some people out of the loop, and thus makes this material less available for connection with other people. Young children may find themselves isolated when they ask Grandpa about their latest favorite cartoon character, “Doraemon,” and cannot get a flicker of recognition or interest. They may be able to connect to others on this topic, but a conversation about trees is one that any person can immediately converse and connect about. The reason that talking to young children about real things is so enjoyable is because their curiosity plays to adults’ desire to share information, and we can all connect over reality. There is a difference, which Dr. Montessori explained, between imaginative thought and fantasy. Fantasy is thinking of something which is not before our eyes and which does not adhere to reality. We often use the word imagine when we really mean fantasize, so this can be confusing. But there is a difference, in the way that Dr. Montessori used these words. Fantasy means that you can make a complete departure from reality if you wish, which can be fun for those of us who are secure with reality. Adults have created cartoon characters to do impossible things: in movies, we can make people fly through the air; they make things explode by looking at them with their eyes; beams come out of people’s hands, and so on. We can fantasize that things can happen that cannot happen in our current reality and make them look real by using our technological inventions. But we cannot fantasize things into reality. Fantasy explains an actual departing from reality. We say “that’s a fantasy” when we mean that it couldn’t really happen. When a person fantasizes frequently, we find that we cannot connect with them. This happens with adults as well as with children. When a child comes into a classroom and spends the day fantasizing that objects in the room are talking to one another and flying through the room, for instance, the adults and children around them have a hard time connecting in conversation and working with that child. To be productive, we need to start by connecting in a base of reality. In contrast, there is a direct connection between imagination and reality. A person who has studied the laws of physics can use that knowledge of reality to imagine something new which does not yet exist and then—in reality—create that thing. We can also imagine how another person may feel, or, when reading a novel, we can picture a scene and empathize with the emotions of the characters as they are described to us through the written word. We can have an emotionally transforming experience. This is the imagination at work. 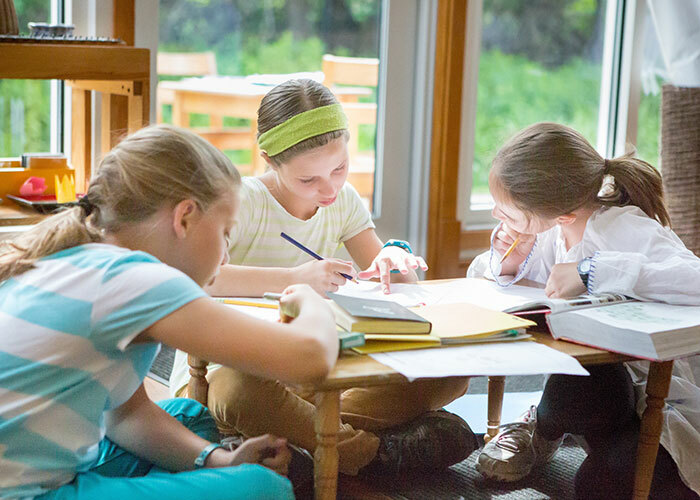 Imagination is incredibly important, and Dr. Montessori believed that it should be employed and exercised when it begins to emerge in children most strongly, between ages six and twelve. This doesn’t mean that children do not imagine before age six, but this is the stage of life when it emerges most powerfully and productively. Being capable of telling the difference between fantasy (that couldn’t really happen, perhaps ever) and imagination (I am picturing something that could happen but is not in front of me right now and may not even exist yet) starts to occur consistently around age six, when enough experience with reality gives children a base for making this distinction. This is when their minds actually start to reason and think more abstractly. Young children under age six crave experience with the real world around them because they have a natural drive to collect information to feed this important ability to imagine. 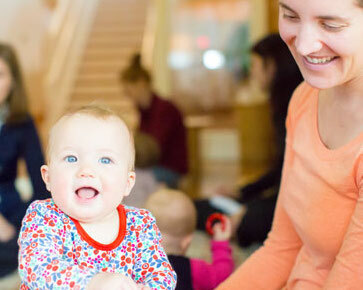 The main takeaway is to give your infants and young children real experiences in their immediate surroundings. Avoid movies, TV programs, cartoons, and books which are the product of other people’s creations, and allow your children to touch, feel, and be active in the immediate, real world. So much important development is happening every day in young children’s minds, bodies, and personalities from being active and connecting with other people and immediate surroundings. All in good time, your older children will begin to use their imaginations to create new things, to dramatize possible social relations, and to play for hours, using their own, unique imaginations. 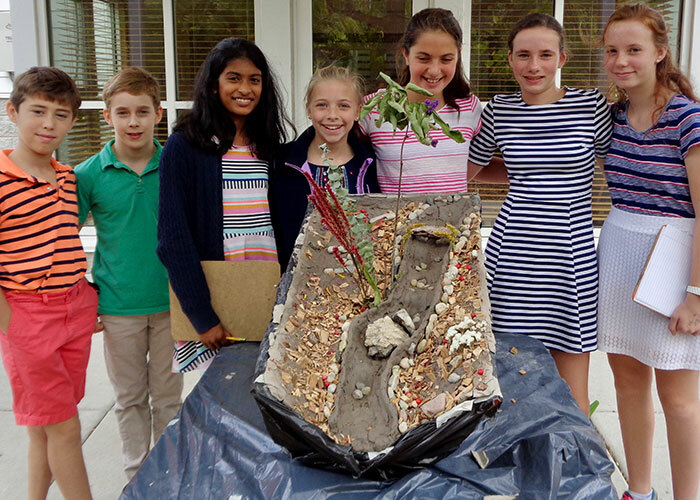 With developed imaginations that grow out of real experiences in the real world, our children will invent and create many beautiful, useful, and brilliant things and find solutions that will make this world an even better place. Here is a list of Suggested Gifts for Children, according to age. The items on this list provide a range of sensorial experiences and allow children to engage with the real world, rather than screens. 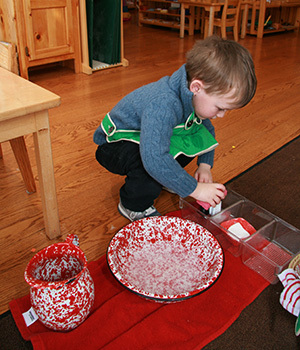 Pretend Play and Fantasy: What if Montessori was Right? 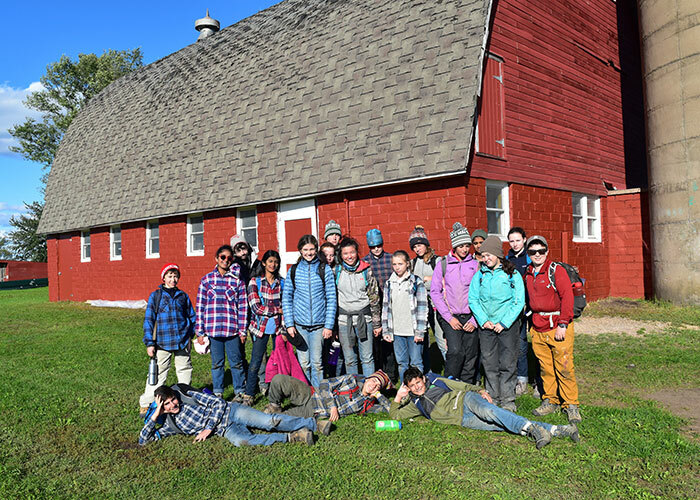 The Secondary Level students, their co-Directors, and I recently returned from a two-week fall trip to a non-profit outdoor camp in Hudson, Wisconsin. On the very last day of the trip, as our vans pulled up to Forest Bluff, I heard several children declare something to the effect of, “We survived!” or, “We all made it back in one piece!” I laughed and cheered along with them because there was some truth to their excitement; the trip was a lot of work and we accomplished something very special as a group without incident. But what might have seemed so daunting (and risky!) to the children at first was made entirely manageable by their thorough preparation and attention to detail in the weeks leading up to our departure. The fall trip is the first of three trips taken by the Secondary Level students during the school year. These trips are the cornerstone of the Secondary Level program at Forest Bluff School, not only because they encompass about five weeks of the school year, but also because they are so formative for our students. Maria Montessori described adolescence as a time for valorization, to build confidence in one’s capabilities and to join the adult world (See the blog post titled The Four Planes of Development: Child Development in Four Questions to learn more about adolescents). The fall trip in particular, during which we carry out service projects for a camp, directly engages the children in real, adult work, which very often includes sizeable demolition and construction projects. 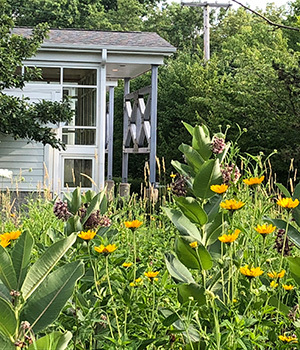 The long-term value of this work is evident; the camp is peppered with structures built by former Forest Bluff students: amphitheaters, lookouts, archery ranges, and wildlife restoration projects, to name a few. These are lasting reminders of the work a group of highly independent twelve- and thirteen-year-old children are more than capable of producing in a very short amount of time. Yet, before any of that incredible work can start, the children are hard at work here at school. Each of the three trips is markedly different from the next, complete with a new packing list, new menu, new expectations, and new challenges. As a result, preparations for the trips begin well over a month in advance, and in our particular case this fall, essentially day one of the school year. 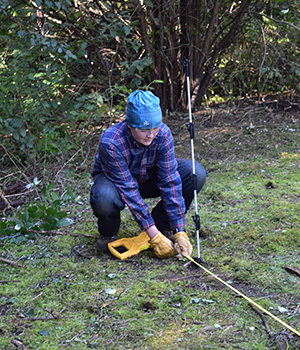 As a newly-invited participant, it was clear that the preparations operated like a well-oiled machine, forged by years of experience from both Matt Robbins and Elisabeth Miles. In fact, this was Matt Robbins’s 37th out-of-state trip with a group of adolescents. 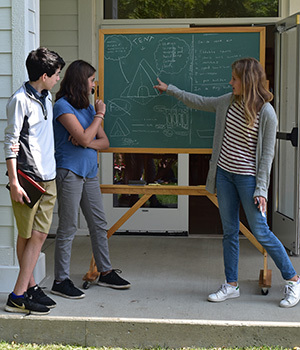 Many of those past trips played an important role in the planning of this year’s fall trip, as the classroom houses detailed records of all of the trips taken in the history of Forest Bluff School’s Secondary Level program, all 23 years. 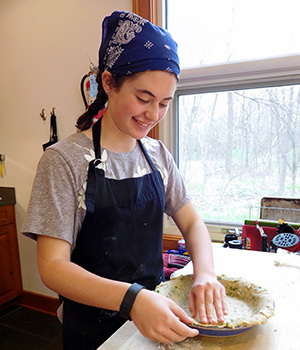 Current students are constantly refining and building off of those notes and records, which fosters a real sense of school community and appreciation for past students’ successes and tribulations. This same strategy of sharing knowledge is carried out in real time, as the current second-year students who have been on this trip before assume leadership roles and guide the first-year students through this intense, yet rewarding process. The first week of this school year, the students were grouped into committees specializing in gear, safety, finance, food, and transportation, each with their own, unique responsibilities, but all dependent on one other. Entirely student-run and organized, the committees regularly report to the class on their progress. The Gear Committee checked backpacks and communal supplies (e.g., cook kits, tents, etc. ); the Safety Committee was in charge of inventorying and replenishing all First Aid supplies and collecting insurance information for each child; the Finance Committee created and maintained a budget; the Food Committee created a menu for all 15 days of the trip and purchased all of the food for their meals; and finally, the Transportation Committee rented the vans and navigated us to the camp. Once those preparations were well underway, the classroom hosted an all-day gear seminar to practice using the equipment. We set up all of the tents in the front lawn and took turns starting the cooking stoves. For other trips, this gear seminar might include testing the water filtration systems or fitting backpacks. Every child was involved in this process and put their hands on the equipment. Another very important, yet more subtle aspect of the gear seminar was the class discussion. It is one thing to have all of the equipment and supplies you need, but it is equally important that each child feel emotionally prepared for what we are about to do. So, the co-Directors shared memorable and funny stories from past trips (which resulted in a lot of laughs and diffused some of the nerves in the room! ), talked about the type of construction work we could expect to do for the camp, discussed strategies for effective communication, recommended best practices for personal hygiene, etc. It was an opportunity for students to ask questions, learn more about our day-to-day lives at the camp, and it was also a time for motivational speeches! We were about to embark on a physically-demanding adventure, so building confidence and comradery right from the start would be the key to our success. And finally…after all of the trips to the grocery store, after inspecting every seam of the tents looking for tears, after crunching the numbers, and after we were sure we had enough Band-aids in case every single child developed a blister, we were ready. Having returned from the trip, I can confidently say that all of the tireless preparations resulted in a wonderful experience. Over the course of two weeks, we restored a horse stable, painted a huge red barn, and re-built a changing station for the day camp. Any issues or challenges, such as the occasional minor injury or food shortage, were swiftly addressed by members of the respective committee. I may have been a third adult on the trip, but I learned pretty quickly that the students were so prepared, high-functioning, and independent that there was virtually nothing for me to do other than show up and do the work right alongside them!